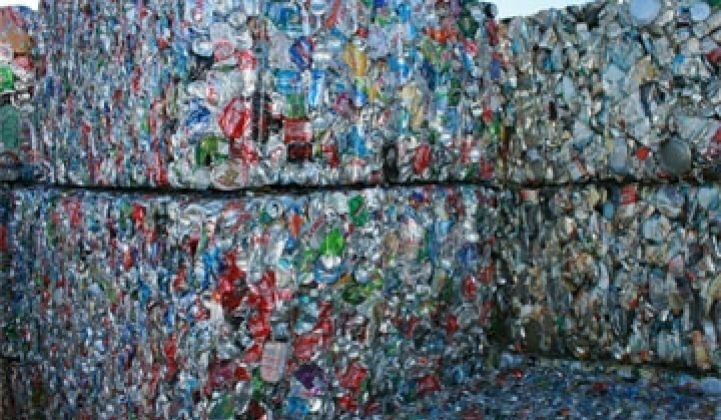 Recycling to Become More Popular with VCs? Steve Jurvetson touts Scientific Conservation and Wowd. Two themes tend to stand out when you look at the portfolio of venture firm Draper Fisher Jurvetson. One, the firm likes to plunge into relatively new markets before others do, which in turn arguably makes the firm's portfolio something of an indicator for the direction of the market. It was an early investor in energy and was an investor in Hotmail when the idea of free email seemed like crazy talk. Two, it is not afraid to go international. "We think it is going to become an imperative," said Steve Jurvetson, managing director of the firm during a talk at Nordic Green II, which took place this week in Menlo Park. So what's on the firm's mind these days? --Recycling and reuse. It is one of the more underserved markets in green, he said. DFJ lumps agriculture and water into this category, too, another market gaining traction with VCs. The firm, in fact, has an investment in Kaiima, an Israeli company that creates high-yield versions of wheat and other food crops through diploid genetic modification. Kaiima, however, does this in such a way that crops based around its technologies are not considered GMOs. DFJ has also invested in Oasys, the forward osmosis firm from Yale. --Videoconferencing. During the flight cancellations caused by the Icelandic eruption, Skype's network handled 20 million more minutes worth of video calls than normal. That works out to about 42,000 transcontinental flights. 36 percent of Skype calls now involve video, he added. --Green IT and building management is growing fast. Scientific Conservation, one of the portfolio companies, performs continuous commissioning services, i.e., moving the thermostat up and down during the day and identifying any maintenance issues. Boeing has adopted the service and reported an 18-percent net savings in four months. Even search can be marketed as green. Wowd, a peer-to-peer search engine, would need about 30,000 servers to perform its services. Instead, it harnesses spare computing cycles. Wowd is also based in Serbia, not usually a tech hot spot. --Synthetic biology will be a huge hit. Basically, the field revolves around genetically modifying microbes to make industrial chemicals. Harvard's George Church estimates that 4 billion different types of microbes can be created per day, according to Jurvetson. "We can engineer microbes to do our bidding," he said. Still, it's harder than it looks. Cambrios, one of the early microbe companies, actually has ditched the biological part of its business. It now makes chemicals the old fashioned way: thermochemically cracking them. Nonetheless, the effort goes on. Siluria, a company soon to come out of stealth, owns the Cambrios biological portfolio. --There was some curve from Ray Kurzweil that allegedly proves that technology continually accelerates through human civilizations as long as you ignore the Dark Ages, the Mayan collapse and other cataclysms. --Many clean-tech startups are growing faster than information technology startups. Aggregate revenue from DFJ's portfolio of companies was $450 million in 2008. It will be $1.4 billion this year. --Electric scooters and bicycles are "very interesting," he added. Sales volumes should be greater than all other electric vehicles combined. Presently, they outsell electric cars in China. --The firm likes nuclear, but hasn't made investments. "We keep meeting with these guys. There hasn't been an obvious nuclear investment where we can help." Most nuclear startups have proposed modular reactors, but we recently unearthed one, Kurion, that wants to handle waste.